Bernie Sanders made over $1 million in two of the past three years, according to filings the Sanders campaign made public Monday. Sanders hit the millionaire milestone in 2016 and sustained it in 2017. But the independent Vermont senator’s total income fell to $566,000 last year. After teasing an imminent release of 10 years of tax returns during a CNN town hall in late February, Sanders’ presidential campaign finally released the documents Monday. The filings show Sanders and his wife, Jane, brought in nearly $1.2 million in 2017 and almost $1.1 million in 2016. Sanders and his wife paid $145,840 in taxes last year; $343,882 in 2017; and $372,368 in 2016. The couple donated $10,600 to charity in 2016; $36,300 in 2017; and $18,950 in 2018. The campaign said its charitable giving last year doesn’t include proceeds from “The Speech,” a book Sanders wrote, because they were donated directly to charity. Recipients of the couple’s donations include senior centers, low-income organizations, education entities and environmental and housing advocacy groups, according to the campaign. Sanders’ disclosures are significantly more than what he released during his first White House run against Hillary Clinton. In 2016, Sanders released only his 2014 tax returns. The campaign framed the release of records this time around as recognition that times have changed. 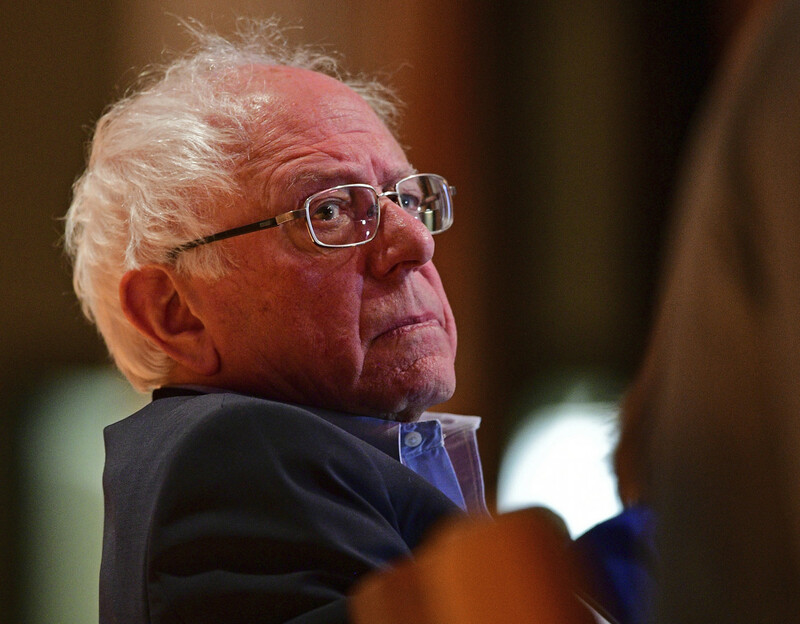 Sanders’ campaign said he has filed detailed financial disclosures for nearly three decades and noted that the latest document dump comes well before the Iowa caucuses commence in 2020. Sanders is an early front-runner for the Democratic presidential nomination, alongside former Vice President Joe Biden, who hasn’t announced whether he will join the already crowded field. He raised more than $18 million in the first quarter of the year, the most among Democratic presidential candidates. His fundraising haul is $6 million more than the nearest competitor, Sen. Kamala Harris (D-Calif.), who raised $12 million since launching her campaign in January. The campaign said a version of the book for young readers and an advance on Jane Sanders’ “Where We Go From Here” are also reflected in the filings.